Look how pretty this lettuce is! It’s bright purple, and primed for its time to shine. It’s so easy to overlook the importance of lettuce in our lives. 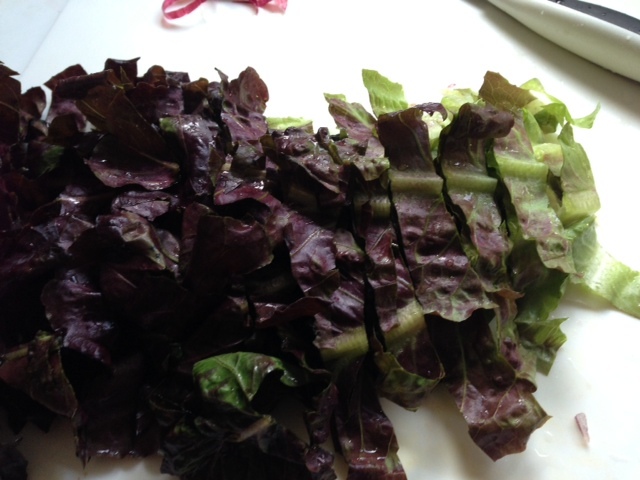 This is a photo of red leaf lettuce, which is packed with vitamins A and K, along with calcium, iron, beta carotene and lutein. Bring out the lettuce, especially this time of year when it’s growing in abundance and make fun salads, stir fry’s, soups, sandwich toppings, summer roll fillings, or even grill it (romaine is best for this). So give a little love to your lettuce this summer, and enjoy the summer bounty! 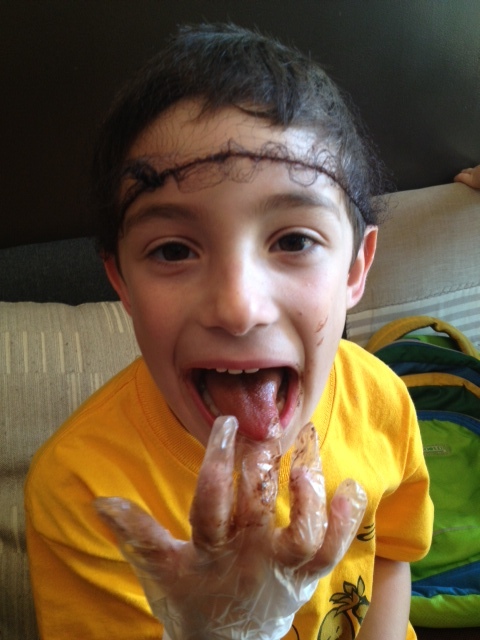 As some of you may know, summer for Butter Beans is all about our farm to table camp for children ages 6-12! Our wonderful Camp Director, Sarah Kagan will be our guest blogger through out our camp sessions, updating us on how each week of camp went, so that we can all vicariously share in the fun that is our summer camp! 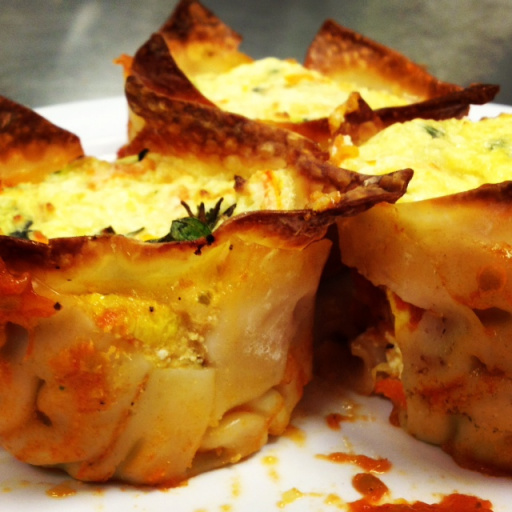 You can also find some of our camp recipes on Sarah’s blog: Beyond the Batter. After months of planning and anticipation, this week kicked off our third summer of Butter Beans Food + Garden Summer Camp! And what a first week it was. Field trips, farmers market shopping, delicious meals, and special guests helped start camp off with a bang. On Monday, sixteen budding young chefs arrived bright and early for their first week of camp fun. 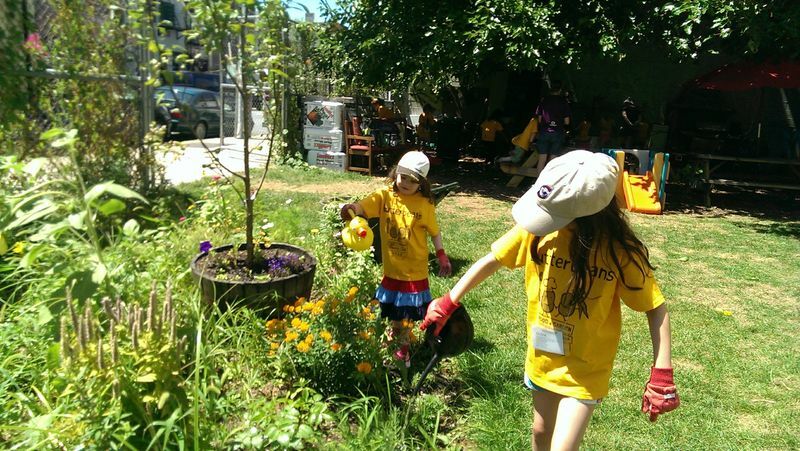 After some name games and decorating leaves for their job tree, the campers put on their yellow Butter Beans t-shirt and set out on their first adventure to Eagle Street Farms. At the farm, our campers saw bunnies, chickens, and bees, planted some peppers and radishes [‘as deep as our belly buttons!’] and learned about composting. While Monday was a day for farming, Tuesday was a day for cooking! The theme of the day was Mexico, and our campers whipped up a delicious Mexican feast, including Black Bean tostados and guacamole with blueberries for an extra special treat. They enjoyed making watermelon and feta salad for a morning snack, and planting their own lettuce and spinach seeds. 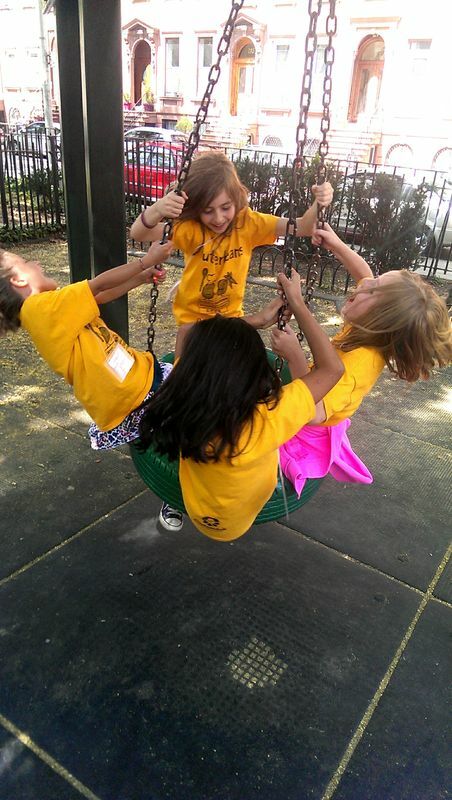 Wednesday morning, our campers spent the morning in the park playing games and enjoying the beautiful summer weather. 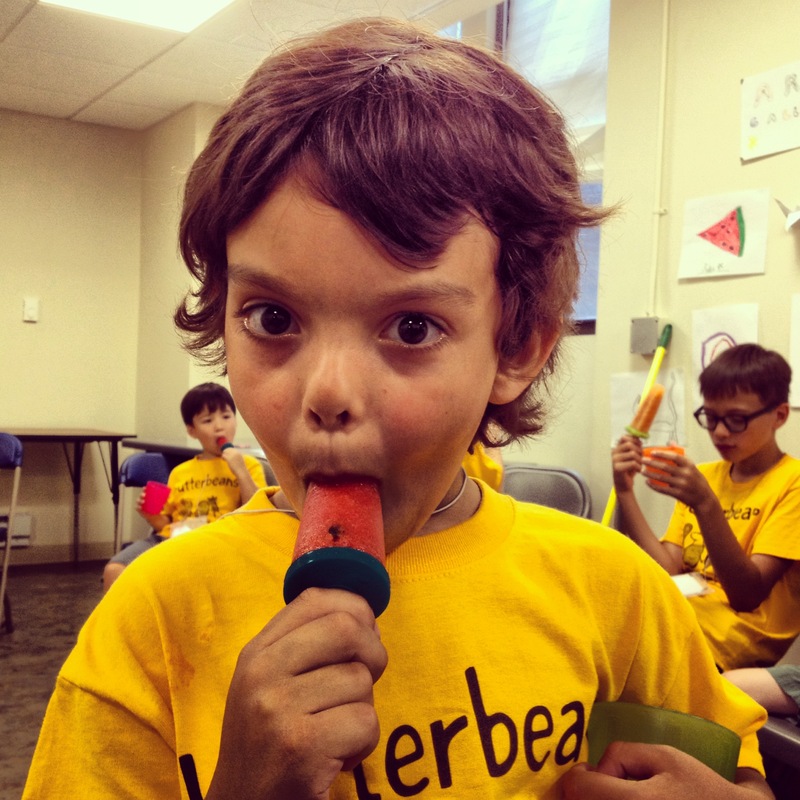 They were very excited to come back to camp and try their watermelon + basil popsicles made using the extra watermelon from Tuesday, and needless to say they were a big hit! Things only got better from there as the campers went with Lauryn from Mother in Law Kimchi to the farmers market to buy the cucumbers for their kimchi, and returned to camp to make their own jar to take home. Although a little nervous at first, they loved the taste of the kimchi and even went so far as to drink the juice! Thursday the campers were back in the kitchen, whipping up a delicious and colorful Japanese themed lunch. Everyone was impressed with the vegetable sushi and soba noodle salad that our campers made; I think Morimoto better watch out! Laura led the campers in a great balanced plate lesson, and everyone had the chance to test their knowledge and create their own balanced meal poster. After some arts and crafts in the afternoon, we wound down with some popcorn and a movie. 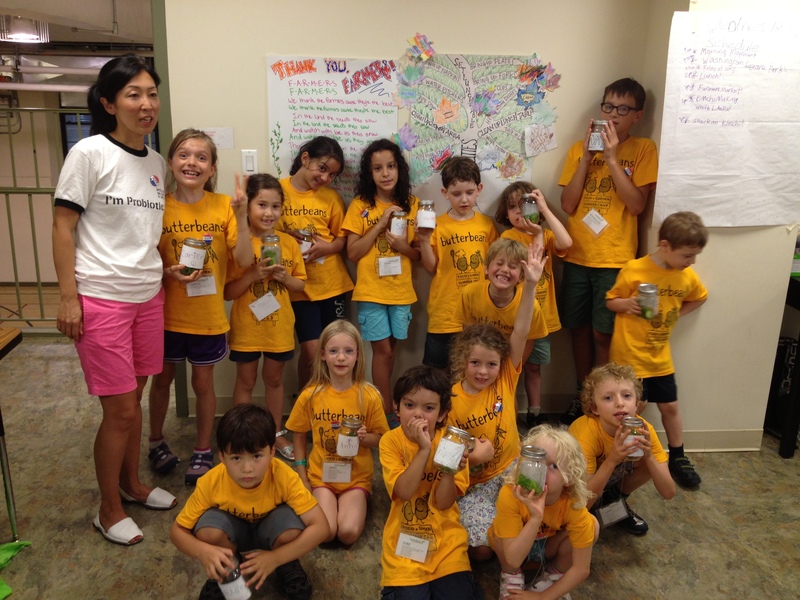 After a special herb lesson from Julia on Friday, our campers set out for the farmers market. They competed in their first Top Chef Challenge – Pasta! Each group bought two different color vegetables, two different herbs, and a cheese from the Union Square Farmers Market before returning to camp to come up with their own recipes for a Pasta party lunch. We then rounded out the afternoon with a relaxing yoga lesson from the wonderful ladies at Brooklyn Strength, and some special snacks for our birthday boy, Audie! I have been overwhelmed by our campers willingness to try new foods, and am impressed with all the things they have learned and created! It’s wonderful to see them making new friends and get excited about all the different activities we do. Our counselors Casey, Spencer, Laura, and Julia have been doing a great job and we have formed a little family here at camp headquarters. It’s certainly been an exciting first week at camp, and I can’t wait for everyone to come back on Monday! In honor of Food Revolution Day, we would like to inspire our readers to go out there and plant something edible! 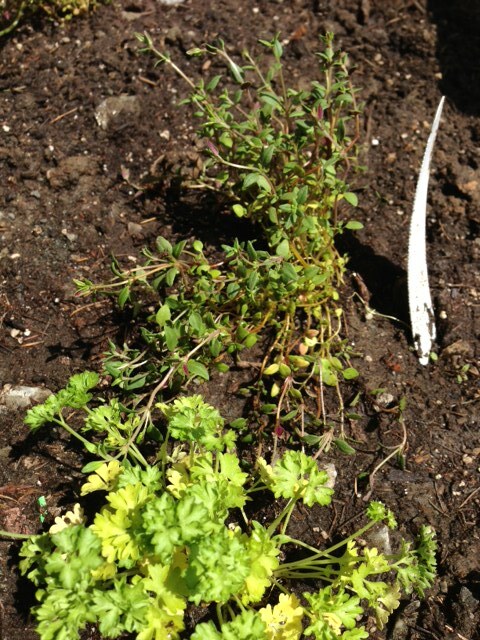 Planting fresh herbs in Spring is a satisfying experience for both adults and children alike. Getting your hands in the soil, being outdoors and absorbing some unintentional exercise provides a host of benefits. Planting your very own herbs not only give you a sense of satisfaction, but they also provide great nutrition and flavor to various dishes. 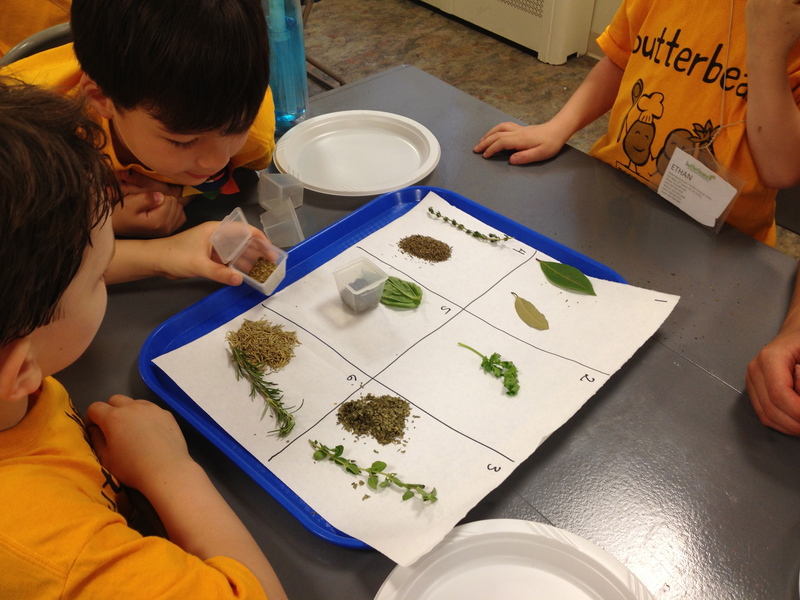 We recently had the opportunity to plant herbs and flowers at one our schools, and the children had a blast! We first roughed up the soil, removed rocks and roots, finding worms, grubs and slugs along the way, then we dug some holes, and pressed our flowers and herbs into the soil. We finished off with a nice watering session to satiate the plants’ thirst, then cleaned up. The students were so excited to see the finished product, while also having thoroughly enjoyed the process. As the soil warms, and the sun shines, take this time to plant something in the soil. There is no better time than now! 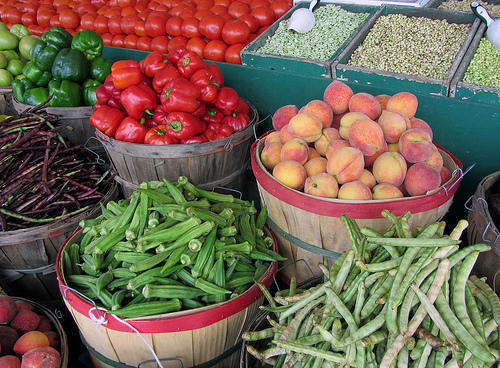 Whatever your weekend plans may be, try seeking out a farmer’s market in your area. As your browse the produce, and marvel at the greater Spring selection, strike up a chat with the farmers tending the stand. Ask them some questions about their day-to-day on the farm, learn more about where their produce comes from, how its grown, or why farming is so important to them. Connecting to the food we eat not only inspires us to appreciate it more, but also provides us with peace of mind knowing where that bushel of fava beans, those asparagus spears or heads of spring garlic came from. And of course, the sweet image of the smiling farmers faces, the tough hardworking hands, the unwavering determination and passion that helped bring those beautiful vegetables to your plate, will pop into your mind as you and your family sit down to eat.